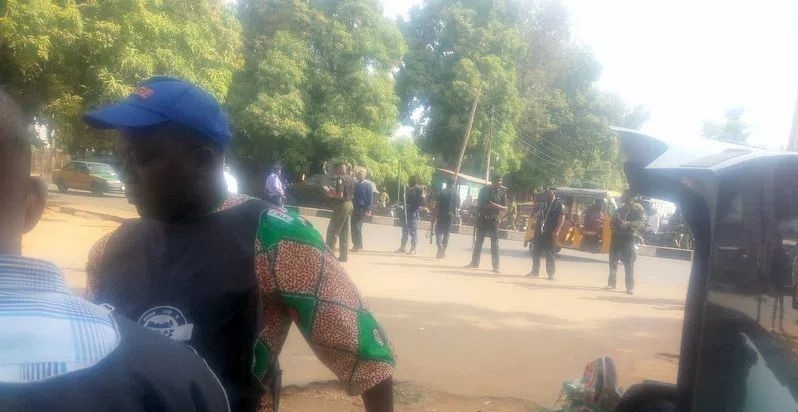 Congress (NLC) over the sack of 36,000 civil servants by Gov Nasir El-Rufa’i.The News Agency of Nigeria (NAN) reports that heavily armed security personnel were stationed at the NLC headquarters along Independence Way and strategic areas of the metropolis while others were patrolling the town. Kaduna-Kachia road, Kaduna-Zaria highway and Kaduna-Abuja expressway. The NLC president, Ayuba Wabba, is expected to lead other union members from across the country to protest the mass sack of workers by the state government.